In maxillary osteotomy Le Fort I type the detachment of the nasal mucosa should be done carefully, because mucosa tears can produce postoperative bleeding after restoration of blood pressure. Piezoelectric surgery contributed much to increase the safety of osteotomies, , despite the initial advantage of minimizing the risk of injury in nervous tissue mainly in bilateral sagittal split osteotomy; we use the piezoelectric device for the initial detachment of the nasal mucosa in the maxillary osteotomy. After exposure of the nasal mucosa [Figure 1], we use the tips that were originally developed for sinus lift (Mectron Piezosurgery R ) and completed the detachment of the nasal mucosa [Figure 2] using a conventional form. We recommend that you experiment and different that was found in the literature  in our cases when the piezosurgery device is used to complete the maxillary Le Fort I osteotomy, we find increase around 20% in total operative time. 1. Eggers G, Klein J, Blank J, Hassfeld S. Piezosurgery: An ultrasound device for cutting bone and its use and limitations in maxillofacial surgery. Br J Oral Maxillofac Surg 2004;42:451-3. 2. Muñoz-Guerra MF, Naval-Gías L, Capote-Moreno A. 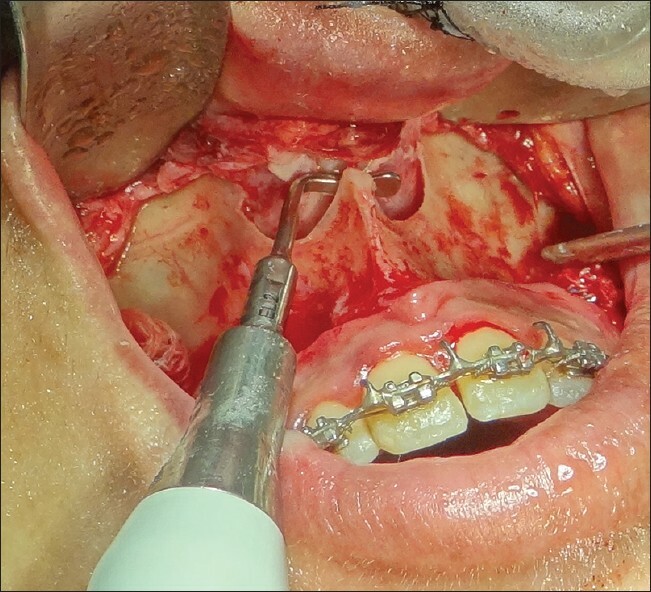 Le Fort I osteotomy, bilateral sinus lift, and inlay bone-grafting for reconstruction in the severely atrophic maxilla: A new vision of the sandwich technique, using bone scrapers and piezosurgery. J Oral Maxillofac Surg 2009;67:613-8. 3. 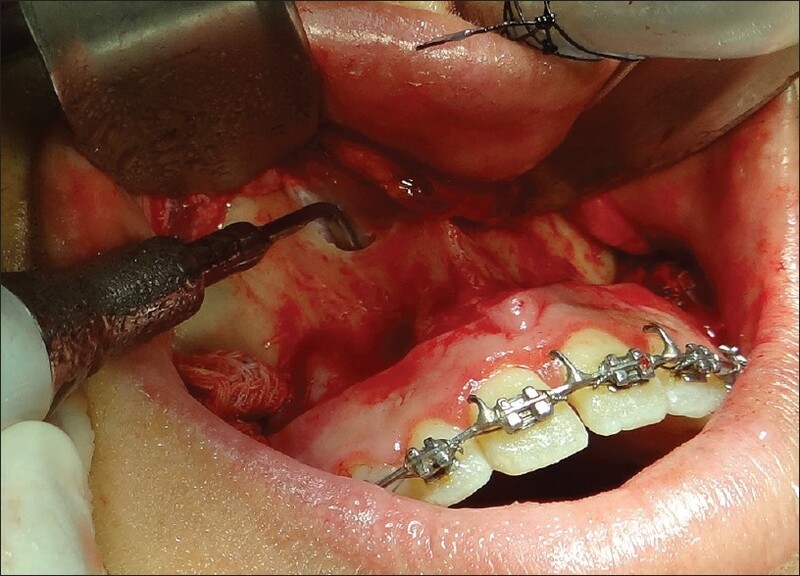 Landes CA, Stübinger S, Rieger J, Williger B, Ha TK, Sader R. Critical evaluation of piezoelectric osteotomy in orthognathic surgery: Operative technique, blood loss, time requirement, nerve and vessel integrity. J Oral Maxillofac Surg 2008;66:657-74.